For those of you who were unable to attend one of our firm’s Executive Briefings that took place in December of last year, Batts Morrison Wales & Lee invites you to another half-day Executive Briefing hosted by Mike Batts, managing partner of BMWL. 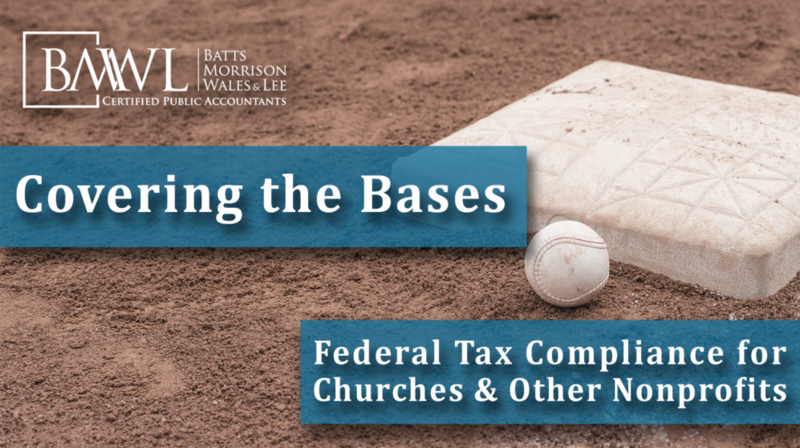 This Executive Briefing will take place in Charlotte, North Carolina, and focus on the fundamentals of federal tax compliance for churches and other nonprofits. Our firm’s clients will receive complimentary admission. To register as a BMWL client, please click the Client Admission button below. If you are not currently a BMWL client and would like to attend, please select the General Admission button below to register for a $49 fee. For information about becoming a BMWL client, please contact us. 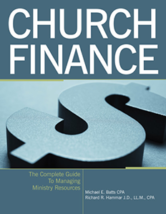 Learning Objectives: To obtain an understanding of the fundamentals of federal tax compliance for churches and other nonprofits. Prerequisites: Working knowledge of tax and accounting issues affecting nonprofit organizations. No advance preparation is required. Program Level: Update – The Executive Briefing qualifies for up to four hours of NASBA CPE credit in Taxes and qualifies for The Church Network CEUs. Batts Morrison Wales & Lee, P.A. is registered with the National Association of State Boards of Accountancy (NASBA) as a sponsor of continuing professional education on the National Registry of CPE Sponsors. State boards of accountancy have final authority on the acceptance of individual courses for CPE credit. Complaints regarding registered sponsors may be submitted to the National Registry of CPE Sponsors through its website: www.nasbaregistry.org. CEU – The Church Network Credit: Batts Morrison Wales & Lee, P.A. is a National Registered Continuing Education Provider (NRCEP) with The Church Network. This program is a premier comprehensive continuing education program related to administration in the local church. It is designed to enhance the ongoing professional development of The Church Network members and other ministry professionals, through the offering of quality learning experiences. 0.1 CEUs will be granted to persons who properly register and attend one contact hour of a minimum of 50 minutes of lecture, presentation, or discussion on approved topics.